Pea plants normally aren't the first crops that come to mind when you think of container gardening, but they should be! Growing in the cool spring weather, peas are one of the first crops to be planted and harvested. 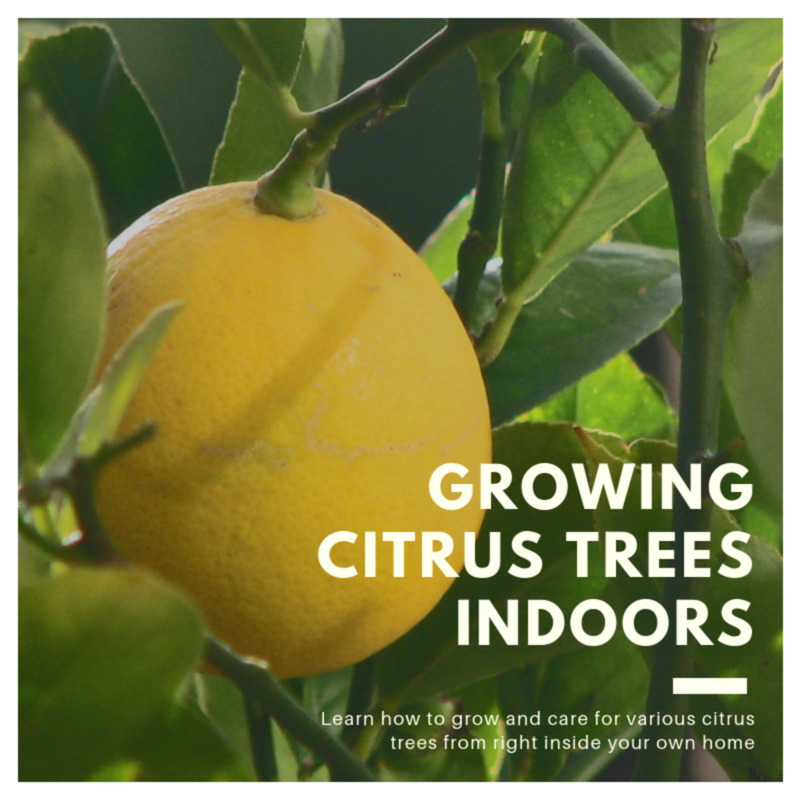 The climbing vines grow quickly, require very little input from the gardener, and most of the time, can be harvested before your summer crops even arrive. Not only will these spring season additions allow you to take advantage of cooler temperatures, they'll also help boost soil nutrition for any crop that ensues. Growing peas in containers is definitely a win-win situation for the gardener! Botanically speaking, pea plants are known as Pisum sativum. They are characterized as small/medium sized vines or bushes that grow well during the cool temperatures of spring and autumn. Fast-maturing pea plants produce edible fruit in as little as 50 days from first planting the seed. Being a legume, pea roots harbor symbiotic bacteria that help the plant fix nitrogen. 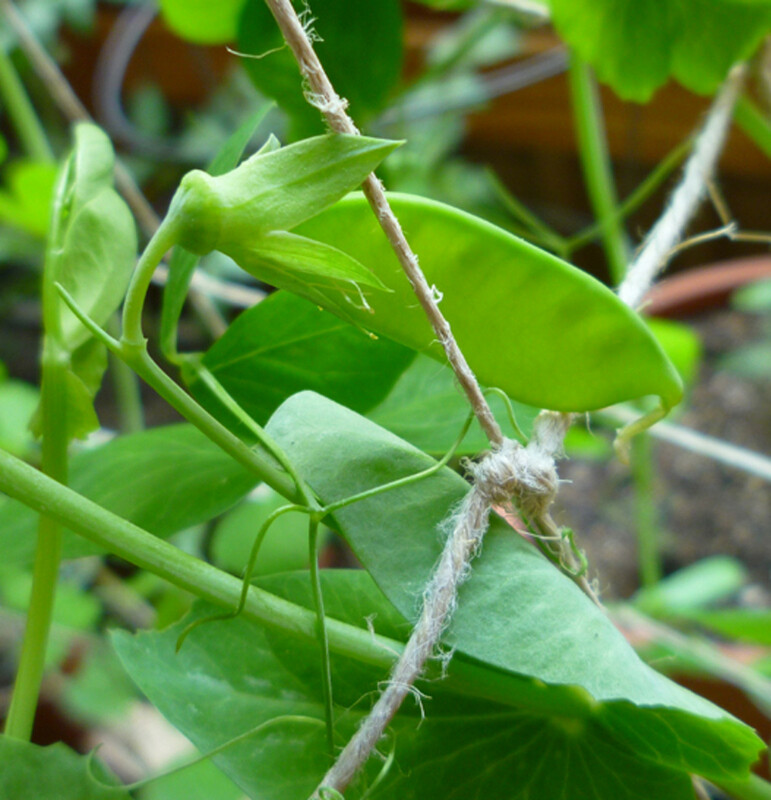 This allows pea plants to basically feed themselves! Alaskan Early Shelling Pea Pod. This particular pod is not that far along in development, so the peas inside are easily seen! Full Sun - Like the majority of fruit bearing crops, pea plants require full sun in order to reach their maximum potential. Six to eight hours of daily sunlight will suffice, but a little more is always better. Well Draining Soil - As a member of the legume family, pea plants do not require an overly fertile soil to produce pods. In fact, too fertile of a soil will dramatically reduce the harvest potential. What is needed, is good soil drainage. For container gardeners, an average potting soil amended with perlite will work fine for growing peas. Container - Peas aren't too picky as to the size of container that will work for them. The container size that you pick will however determine the number of plants that can be grown. For example, a standard 12" flower pot with a volume of three gallons can be planted with 5-6 pea plants. Trellis - For climbing varieties, a small trellis will be required to support the growing vines. Homemade twine trellises work great, are inexpensive, and are very easy to make. Pea plant sprouts. Surviving through early snow and some freezing temperatures, the pea sprouts just kept on growing. They're a couple weeks old at this stage. Planting - Cold, hardy pea seeds can be planted a month before the average last frost in your local area. 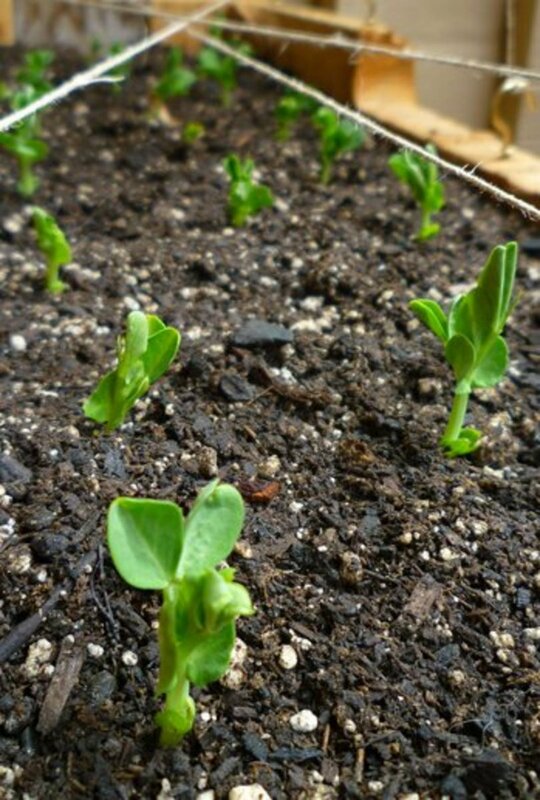 Plant pea seeds about an inch deep and spaced two inches in every direction. Cover up the seeds and water them in well. They should start to sprout 7-14 days after planting. After germinating, thin the successful seedlings so that there are 4-5 inches between each plant. 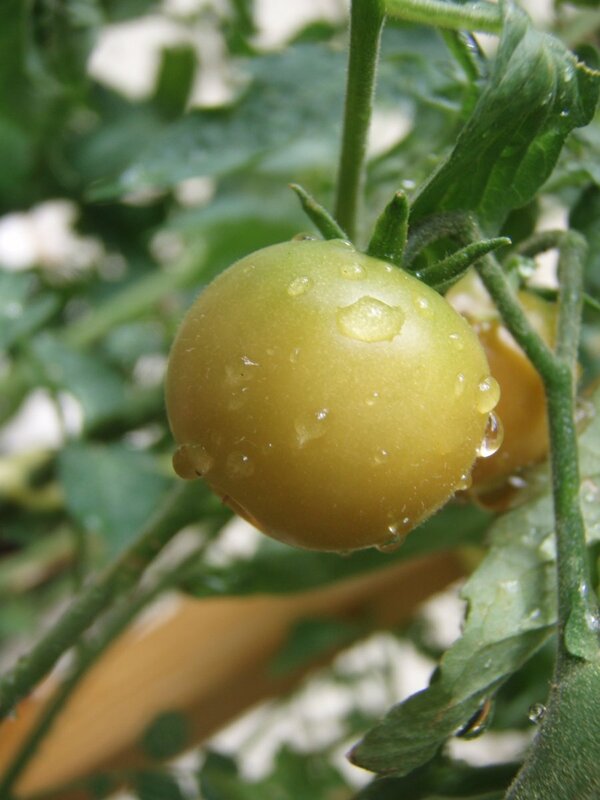 Watering - Pea plants should be watered thoroughly once or twice weekly. Be sure that the top inch of soil has become dry between waterings. Water the plants deeply, and always allow any excess to drain freely. During flowering and pod production, the plants may need to be watered more frequently. If needed, watering can be increased to everyday in order to maintain quality pods. Patio grown Alaskan Early peas 2013. The trellis pictured was made from hemp twine to ensure strength and durability without the bulkiness. Training - If the pea vines are left to grow and climb on their own, they'll always go to a spot that offers the best sunlight. This tendency can cause a lot of the vines to clump up and fight for one spot on the trellis. To keep this from happening, gently wrap the growing vines up the trellis in an evenly spaced pattern. This will keep foliage from becoming too dense, and also make the trellis much more pleasing to look at! 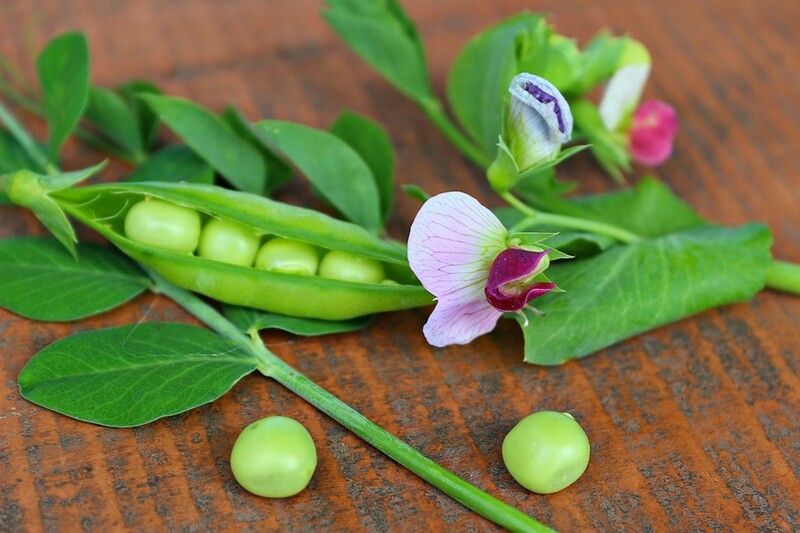 Harvesting - Deciding the most opportune time to pick your pea pods will depend on the variety that you choose to grow. Shelling peas are normally picked when the pods have become plump and have a nice sheen. 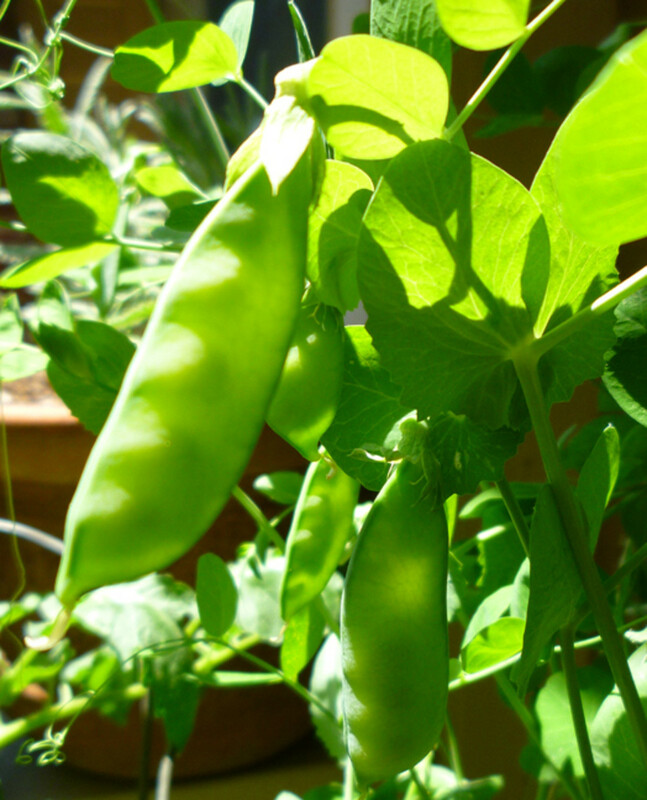 Sugar snap peas are generally picked just before the pod has reached its maximum girth. Last off are snow peas, which are picked before the peas inside the pod begin to enlarge. Growing pea pod from the 2013 season. As the warmer temperatures of summer finally take hold in your area, the pea plants will start to die back. While it can be tempting to pull out and throw away the dying plants, don't do it! Instead, cut the vines at the base of the soil. As the roots die, they will slowly release usable nitrogen back into the ground. 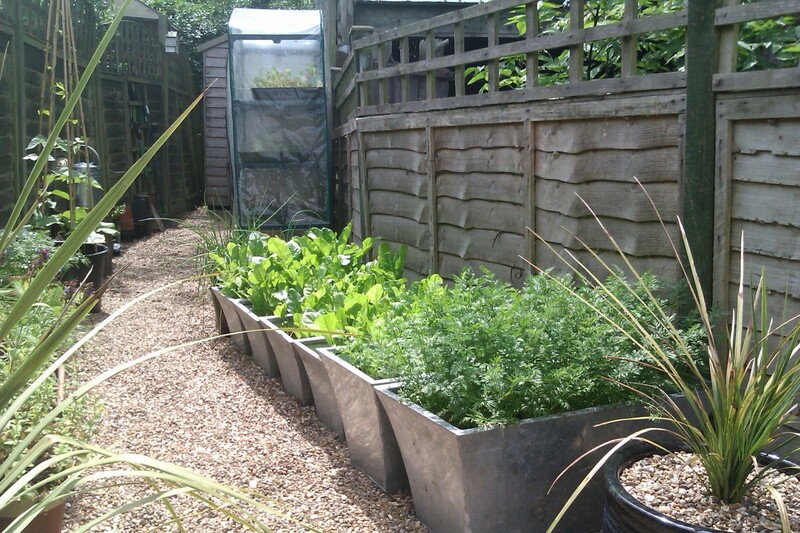 This nitrogen can be extremely useful to summer crops planted in the same container. If you want to be even more resourceful, allow the foliage to dry out, break it up, and then work it back into your potting soil. Every bit of the pea plant can be used as a fertilizer for your next crop! Alaskan early shelling peas nearing harvest. These were some of the last peas harvested from the 2013 season. With a hotter than normal spring, the plants stopped producing pods sooner. If your pea plants aren't as productive or don't grow with the vigor you'd expect, there are a couple of things that you'll want to have a look at! Don't Fertilize - As mentioned before, pea plants are much more productive when grown in mediocre soils. The plants "fix" their own nitrogen, so they do not need any additions of compost, manures or fertilizers of any kind. 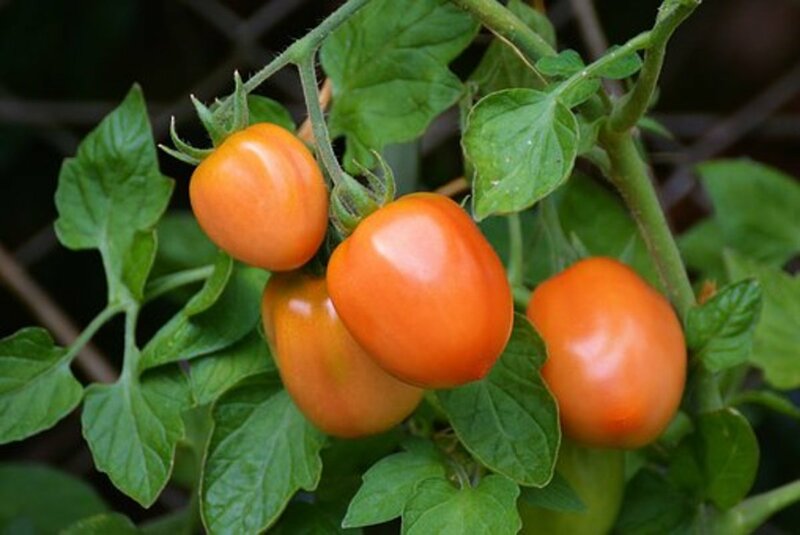 If your soil is too nutrient rich, or if you decide to fertilize with nitrogen heavy fertilizers, your plants will grow like crazy, but produce very little pods. 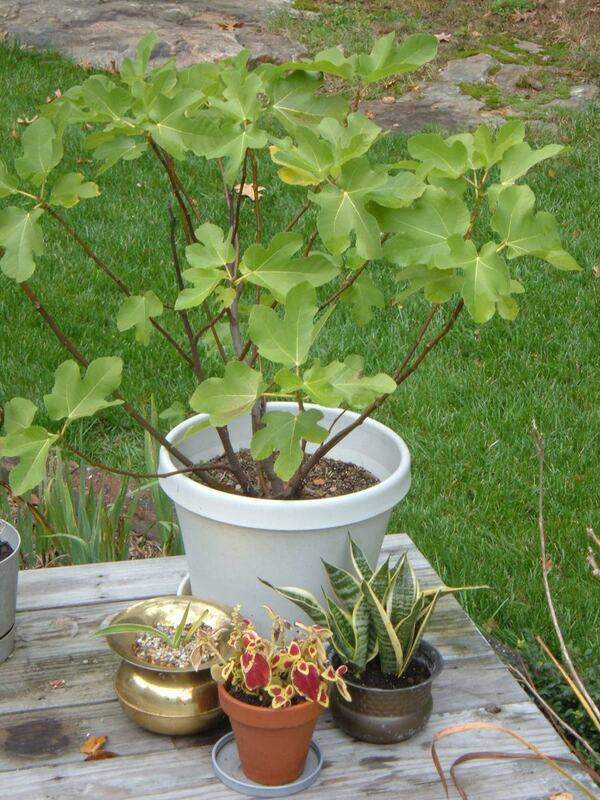 Wood or Clay Containers - When hunting for your pea plant container, consider wood or clay containers over plastic ones! Although plastic may be cheap, it also tends to heat up soil quicker, and also hold in much more moisture. 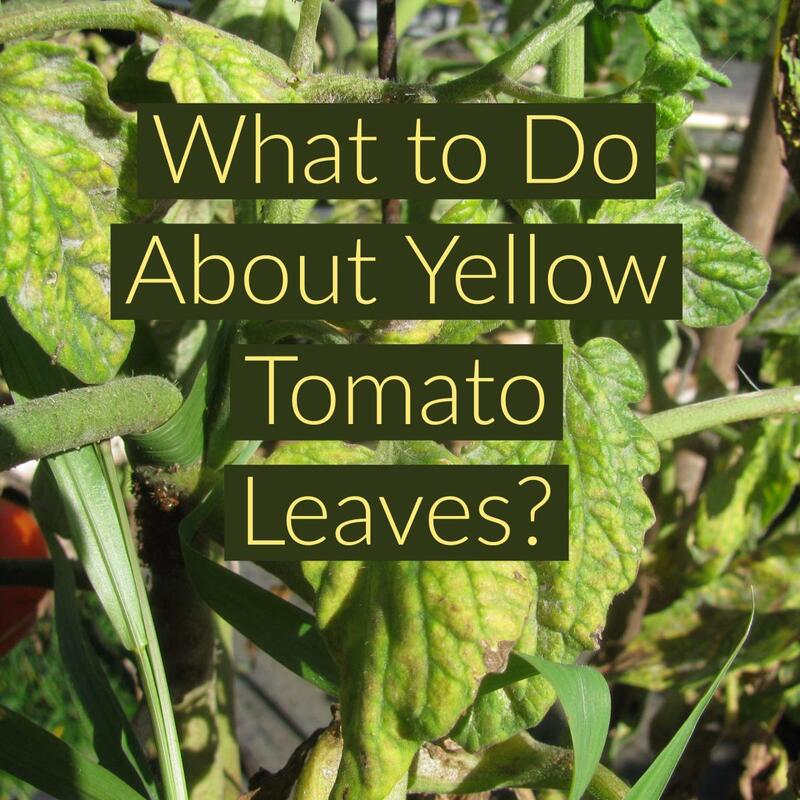 These situations normally lead to stunted plants, or to less than stellar yields. Due to the fact that wood and clay containers are porous, they allow the soil to "breathe". This breathing process ensures that roots are able to receive plenty of oxygen, and that the soil stays nice and cool. The 2013 season proved to be problematic for pea cultivation in Colorado. Early spring temperatures were low and snow was quite common. Shortly after the snow melted away, the temperatures instantly warmed beyond the norm. The plants grew with great vigor, but this drastic swing in temperatures made for poor pea harvests, including my own. While I was able to harvest a few handfuls, the overly warm temperatures during pod production led to average quality peas. Although I was quite disappointed, there's always another season waiting! Thanks for reading this guide on growing peas in containers. Please feel free to leave any comments or questions. 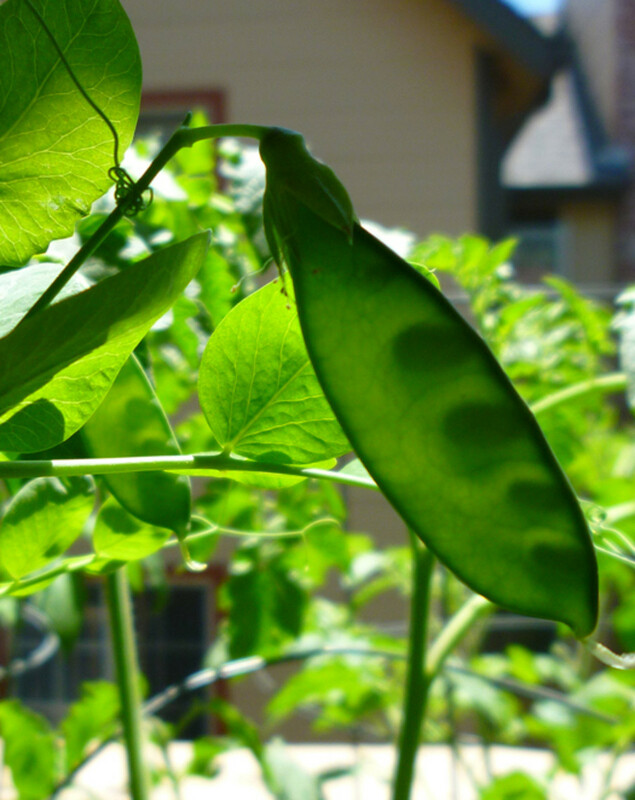 Are peas a part of your garden? Yes, I grow them in the ground. Yes, I grow them in containers. No, but I would like to try growing them. No, and I have no intentions of growing them. I would love to try peas in a container, right now I have squash & cucumber. Thanks for sharing this great info! Will be trying this! I love this! I'll be adding this to my container garden of tomatoes, cucumbers, and parsley now! Thanks for your had work and for sharing! You sold me! I am going to attempt to grow peas in containers this year! 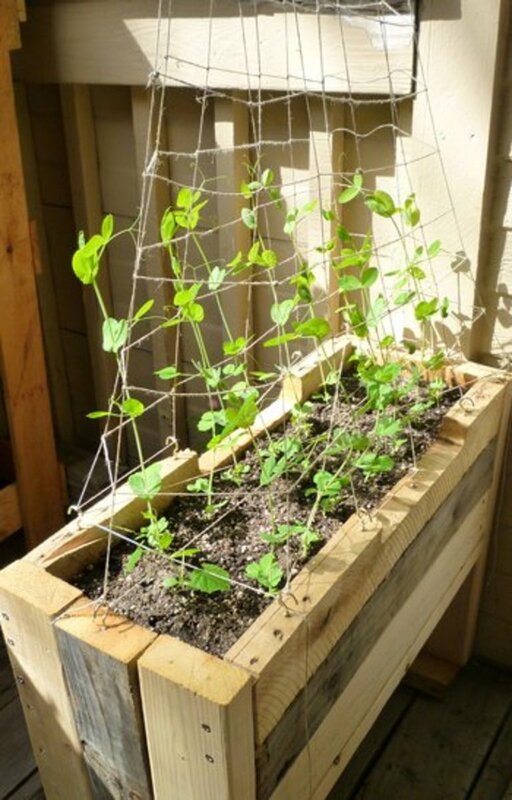 Thanks for this look at growing peas in containers--very useful. I think we may head this direction. Nicely done, pinning to Gardening:Fruits/Veggies.